Erica Gott was walking toward UTA’s E.H. Hereford University Center when she noticed the sporty red car parked outside. Gott was excited to learn that the Ford Focus is part of Zipcar, a new car-sharing program at the University of Texas at Arlington. Officials say the program will help those who don’t own vehicles and lend to the university’s efforts to create a greener campus. 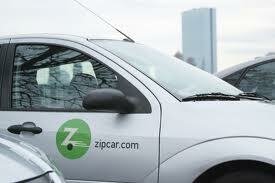 Zipcar, which is at many universities, including TCU, UT Austin and UT Dallas, was launched at UTA on Feb. 4. A long line was quick to form at an information table in the University Center, said Meghna Tare, UTA’s director of sustainability. In two hours, 100 students applied, she said.